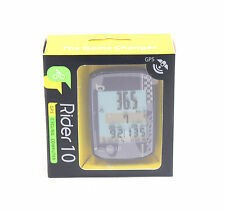 15 Function Waterproof LCD Bike Bicycle Odometer Speedometer Cycling Speed Meter Description: 100% brand new and high quality Bicycle speedometer with LCD display. 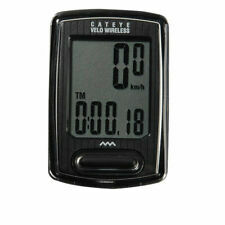 Monitor your bikes speed, distance and riding time. Wireless design is more convenient and good looking. Ideal for bicycle training and doing exercise. Lightweight, durable. Make your sports life more free and comfortable. Waterproof protection. Due to the different display and different light, the picture may not show the actual color of the item. Weight: about 65g. Size: 49x44x15mm/1.92x1.73x0.59". Compatible with Following Devices: Approach S2, Approach S3, fēnix, Forerunner 110, Forerunner 210, Forerunner 405, Forerunner 405CX, Forerunner 410, Forerunner 50, Forerunner 610, Foretrex 401, quatix. 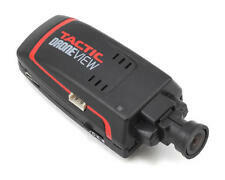 Adopts wireless receiver device with steady transmission and sensitive record that gives more convenience while riding. distance between bicycle computer and transmitter is 60cm. Backlight color: Green. Trending at C $18.84eBay determines this price through a machine-learned model of the product's sale prices within the last 90 days. What makes your bike much more eye-catching?. - High compatibility: this mount is compatible with Garmin edge touring and Garmin edge 20/25/200/500/510/520/800/810/820/1000. What's more, it also applies to iGS 20/20P/216/50/60. Cadence sensor. Color : Black. Product details. 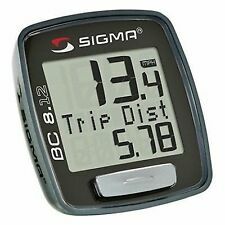 A cycle computer will enrich your ride by keeping a record of where you have been, when you ride and how fast in speed. Three modes of riding for selection: racing mode, indoor mode and training mode. 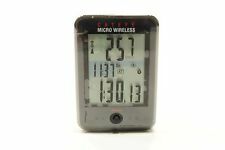 Suitable for Garmin & for Bryton & for Cateye. 1 x Base Mount for Bryton. 1 x Base Mount for Garmin. Easy to install, suitable for any bicycle's stem. This stem extension mount is made of qualified carbon fiber, solid, firm and durable to use. Waterproof IPX6. Waterproof: IPX6. A cycle computer will enrich your ride by keeping a record of where you have been, when you ride and how fast in speed. - Data Analysis. Fit format files, can be uploaded to computer or website for analysis. IGS50E 1,Micro USB Cable 1,Bike Mount 1,User Manual 1. Waterproof: IPX7. Product Details. CM-02 Cateye out-front handlebar mount. This is a computer Holder, computer is not included, the holder is included. CC-MC200W "Micro Wireless". CC-VT220W "Urban Wireless. Direct Mount. 15g /set (included of stainless Nyloc finished bolt). Compatible for Garmin 200, 500, 800. 1 x Bicycle Computer Extension Bracket. Color: Black. Size: Approx.11.4cm x 4cm / 4.45" x 1.56" (L x W). For bryton rider for 20 30 40. The colors may be a little difference for the different monitor display. Compatible Devices Speed sensor. Speed sensor sleeve. Forerunner 935XT. Forerunner 920XT. Forerunner 910XT. Forerunner 310XT. Type: Wired. LCD screen display. 1 Cycle Computer. Display: LCD. 1 Wheel Magnet. AUTO ON/OFF. 1 User Manual(English). 1 Set of Cable Tie. Polar CS200cad Cycling Heart Rate Monitor Speed Cadence Cycling Computer Bundle. Condition is Used. Shipped with USPS First Class Package. Hammerhead Karoo GPS Cycling Computer. Condition is Used. Few edge scratches on the right side and lower side (where the pry slot is to get to the sim tray). Screen is excellent - no issues at all. The screen and mapping on this are quite impressive. Hammerhead regularly puts out updates so the device will only get better with time. Original box and all accessories included. Including the barfly mount! Note: unit does not come with a usb was plug - but cable is included (but let’s be honest, USB ports aren’t rare any longer) I will leave the tether leash attached. But it does come off if you prefer it without. Shipped with USPS Priority Mail. Garmin Edge 820 Bike GPS. Condition is Used. Shipped with USPS Priority Mail. Includes unit in very excellent condition with USB charging cable. No mounts included. 1 x Cadence Sensor. Multifunction wireless Bluetooth cycling computer. Features: Wireless, Bluetooth, Large Screen, Backlit, Water-resistant. 1 x Magnet Sensor. Multi data supported, like temperature, speed, calories, etc. Cycling Phone Holder Module fits for Garmin Edge Mount. 1 Module ( Bracket is Not included). Notes: The real color of the item may be slightly different from the pictures shown on website caused by many factors such as brightness of your monitor and light brightness. Perfectly fitted for general bicycle & exercycle. Color: As picture shows. Bayonet size is about 2cm. Canada, United Kingdom, Austrilia, France, Germany, Spain, Ireland, Italy, Others. 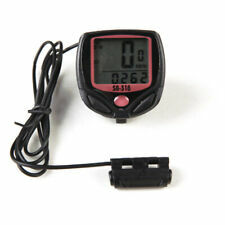 4 out of 5 stars - Vintage Style Bicycle Bike Speedometer Analog Mechanical Odometer With Hardware. 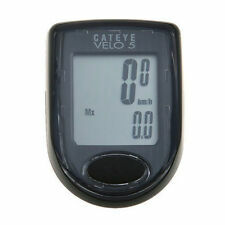 10 product ratings10 product ratings - Vintage Style Bicycle Bike Speedometer Analog Mechanical Odometer With Hardware. Support iOS 6 system above and Android 4.3 system above with bluetooth 4.0 function models. 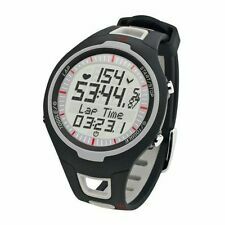 Stopwatch and Accessories: Waterproof Stopwatch,Wireless Stopwatch. ThisBike Speed and Cadence Sensor consists of a separate cadence sensor, wired to a speed and distance sensor that has a battery hatch and a Bluetooth 4.0 transmitter. The sensor includes two magnets and a set of cable ties to install the sensor. Condition is Used. Check Bryton Sport website for more details Front mount extension - Garmin compatible. Wheel magnet. New Silicon cover - black. micro usb cable.